It’s morning and I start to heat some water for coffee. As I wake up and start to get ready for the day, I turn the radio to 91.7 KOSU to catch myself up on the local morning news and to see what happened in the world while I was asleep. For those who do not know, KOSU is the National Public Radio affiliate station for central and northeastern Oklahoma. NPR produces stations that provide news and cultural programming to much of the country. 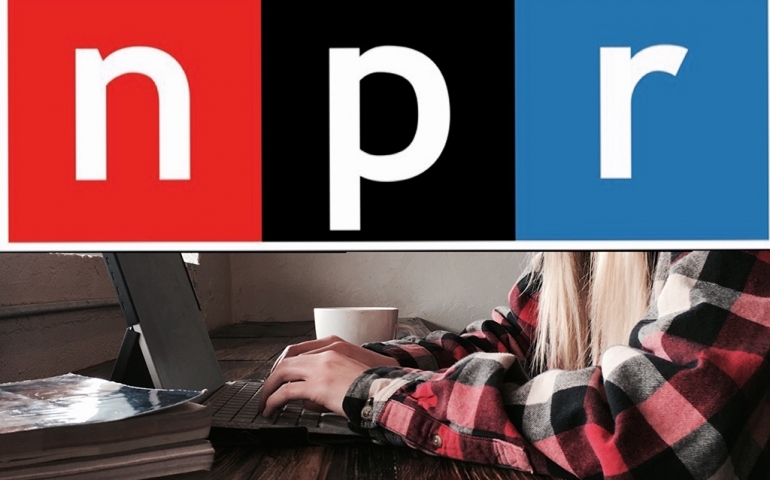 There are over 900 member stations for NPR across the country. But why should college students care about NPR? I asked a couple of professors at Southern Nazarene University why they listen to NPR, and why college students should care about it. When asked why she listens to NPR, Professor Tina Hughes said, “I enjoy their information programming, especially NPR news.” Professor Hughes continued to say that she mostly listens to NPR in the morning as she is getting ready for work and in the afternoons while in the car. Professor Hughes spoke on the duty of adults, and especially Christian-adults, to be well informed about what is occurring in the world around them so as to be more effective participants in shaping society. Dr. Montgomery then proceeded to give an example of when he is exercising or walking, he will listen to lectures he has recorded in order to multitask and achieve two goals at once. “So you can imagine that while I am driving my kids to school or driving myself to work, I am in that car going from point A to point B anyway what will I do with my free mind time in the car?” said Dr. Montgomery. Dr. Montgomery discussed how NPR is one of the only means through which someone can continue to teach themselves and be a lifelong educated person. It is different from listening to podcasts or reading books, because when we choose books and podcasts, we are picking the topics or opinions we want to hear. NPR does not provide us with only the news we want to hear. To me, NPR is important because it allows me to not only learn about what is going on in the world, but it also presents me with an opportunity to hear a wide array of opinions on various topics. Public Radio allows us college students to continue our education long after we graduate, and it gives us the ability to grow and better not only ourselves but our society as well. This is the reason why college students should care about public radio. For anyone curious about how they can support their local NPR station, you can go to NPR.org or KOSU.org for more information.